Put the cornflour in a shallow bowl and toss in the chicken pieces until lightly and evenly coated. Heat the oil on the stove top in a heavy based casserole dish large enough to fit the all chicken pieces in a single layer. Fry the chicken pieces for about 3 minutes on all sides or until golden. Remove the chicken to a plate for now. Add to the casserole dish a jar of SOME Foods Southern Indian Madras and the stock. Stir to combine and heat until the sauce is bubbling. 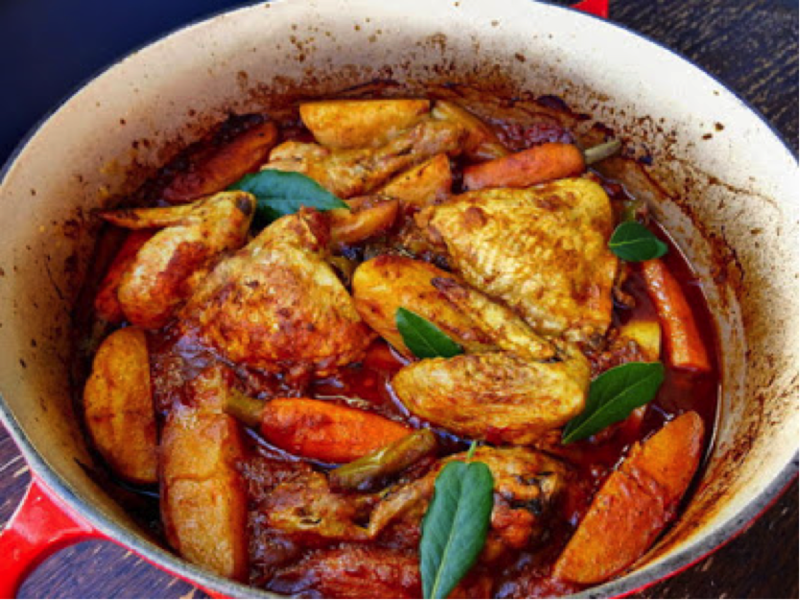 Add the carrots, potatoes and chicken pieces to the casserole dish and arrange so that the ingredients are mostly covered by the fluid - they don't need to be completely submerged. Remove from the oven and serve with gluten free bread or naan to mop up the sauce that will have thickened slightly from the cornflour.